Ryanair chief executive Michael O'Leary said he would only give Panorama a formal interview for our programme, Why Hate Ryanair?, if we promised to run it totally unedited. We were not prepared to agree to this, but promised Ryanair we would be balanced and fair. Reporter Vivian White went to Dublin and grabbed a few minutes with Mr O'Leary on his way out of Ryanair's Annual General Meeting last month. 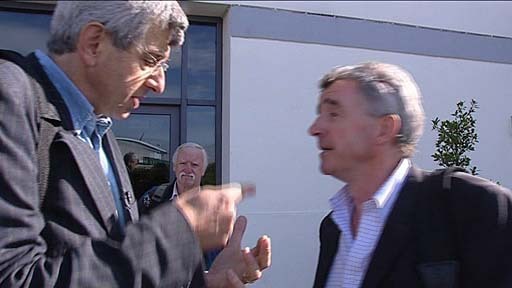 Mr O'Leary said the exchange would be cut to "suit the Panorama agenda". Here is the full, uncut, unedited version of the entire encounter.